Requirements of flexibility in storage of carious sizes of items, the multi-level recking design can be used to store medium and small parts. This system facilitates the creation of additional levels for storage by using the available vertical space in the warehouse. Access to the platform levels is via structural steel staircase. 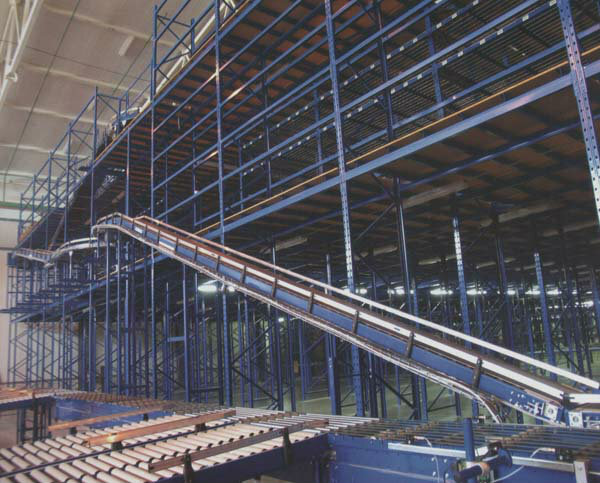 However, a goods lift can also be incorporated into the racking system. All the open sides are fitted with tubular steel handrails and kick plates to ensure safety of th users. Loading gates can also be procided in each floor to keep material directly on each level/floor & from there Pickers can keep in the designated place. Floor decking material can be chosen from either plywood or steel mash granting. Steel joists & bracket are designed to support the floor loadings required.